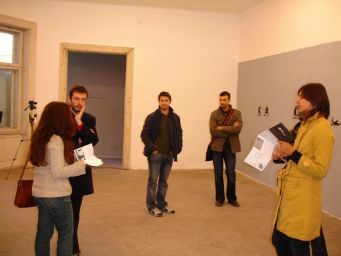 The plan b gallery was founded in September 2005 by Mihai Pop and Adrian Ghenie, with the support of the Romanian financial investment companies Target Capital and Finas. The gallery presents artists already active on the international scene, whose works problematise mainly the Central and East European area. Our aim is to give the local audience a feedback of the common experience shared in this part of the world. Victor Man, Perfect Crime, 25 Sept.–15 Oct.
Victor Man is one of the 20 artists listed by Art Review magazine in December 2005 as New Bright Things. His major focus is the redefinition of painting. His work Perfect Crime stages the dissolution of the extraordinary into the credible; the gallery space becomes an installation-support for transposing imaginary situations built from founded images. In his work the narrative comes out from the associations of the images that are, initially, no meaning images, and which set in a certain order create the appearance of the logic. Barbara Musil, Shift Expectations, 1–6 Nov. This is the second solo show in Romania of the Austrian artist Barbara Musil, after a residency in Cluj, in 2003, within the framework of the Re:Location programme. Shift Expectations gives shape to a stratagem: Musil recycles the letters of refusal received in response to her applications to various film festivals, transforming the failure into success by the means of art. 1811197604122005, Display Gallery, Prague, 18 Nov.–4 Dec. 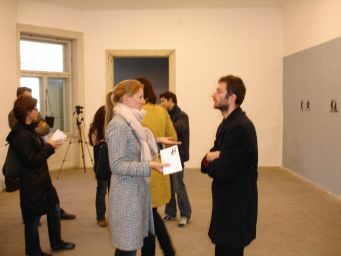 The exhibition presents projects by several artists from Prague illustrating a distinctive attitude in Czech contemporary art. The main focus is the exploration of the direct social context. The artists refer to a position that distances from the collective mythologies presented through ideological and media images, as well as to the lack of an institutional basis for cultural production and theory. They aim at creating a certain state of re-convalescence that can be considered a new impulse for a conscious ‘life policy’. 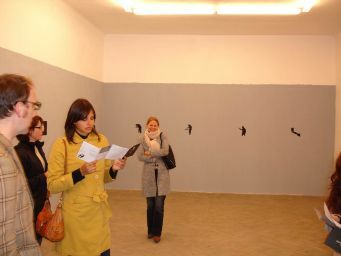 (David Kulhánek) Displayis a contemporary art space in Prague founded in 2001. 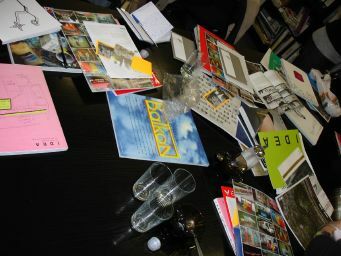 More information about the exhibition programme at www.display.cz. IDEA Design & Print Publishing House was founded in 2001 by the fortunate meeting of theoretical and practical conditions that made possible a substantial and coherent cultural project. 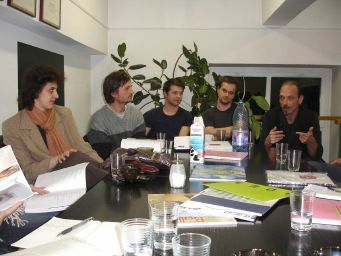 With more than 40 books published in “Panopticon” and “Balcon” collections to date, IDEA Publishing House set several specific goals: the translation into Romanian of some major texts of contemporary philosophy and art history, and by this, the sustainable introduction in the Romanian debate and cultural consciousness of first importance interrogations that mark out the theoretical discourses, practices, and the editorial policies in Western countries. However, the IDEA project does not limit itself to translate into Romanian various texts. Choosing a certain type of writing, namely that in which the language tests its logic and expressive resources, both in translations and in original texts, the publishing house aims at refreshing the Romanian philosphical and critic language. At the same time, IDEA publishing house proposes for the “Balcon” collection contemporary art texts, whose analitical potential is a major, useful tool for researchers and practitioners within the arts today. Away from aestheticisms and academisms, not bound to any “-ism” in fashion but refusing the fiction of ideological neutrality, and also hostile to any transcendencies (metaphisical, religious or of any other kind), the IDEA magazine distances itself also from the pernicious expressions of the current culture of experts and expertise. However, the magazine stays true to the veritable theory, namely the theory that is commited both to the concrete and the acuratteness, through a critical and analitical step meant to promote a mode of thinking that is deficitary on the Romanian market of ideas. One can say that the goal of IDEA project resides in the very graphic and logical symbol “+”, which suggests the multiple ways in which the artistic and social space articulates itself today. 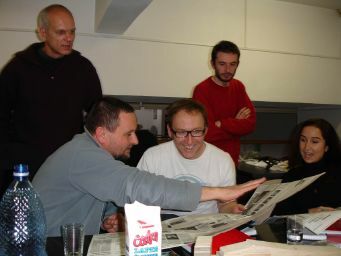 With a flexible structure of rubrics, the magazine presents in each issue the Romanian and international art scene, the solo or group projects of Romanian artists, providing also a substantial theoretical support through archives of classical texts and files about current social, political and artistic topics. Starting point in today’s activity is the Academy of Fine Arts in Hamburg. The first step towards Romania was the establishment of a bursaries program for Romanian architecture students, program that lasts until today. The following step was the establishment of a summer school. 2001 the PLANWERK office Cluj-Napoca was born, out of this network. Under observation from Köln, Planwerk elaborated a development project for the Transylvanian town Cluj-Napoca. 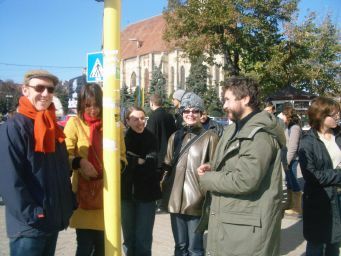 Planwerk SRL continues its work and develops projects in the whole country, mostly in Transylvania. The main activity of Planwerk is developing urban studies, also as official documents, as PUG, PUZ and PUD for authorities and private clients in Romania and Germany. Urban planning contracts become increasing building contracts. Employees: Arh. Tiberiu Ciolacu, Arh. Tudor Pănescu, Dipl. Julia Jozsa, Dipl.-Ing. Benjamin Kohl.